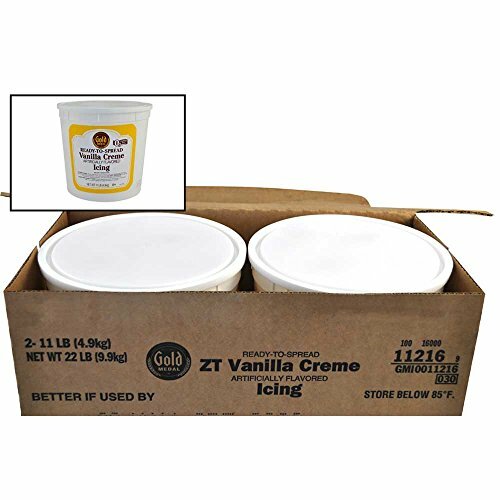 Gold Medal Vanilla Creme Ready To Serve Icing 2 Case 11 Pound Shelf stable and ready-to-spread vanilla cream icing. Sweet, rich vanilla flavor. Icing is light and airy, providing a smooth texture when spread on a finished product. Og trans fat per serving.